Man Killed By Brightline Train In West Palm Beach | Schuler, Halvorson, Weisser, Zoeller & Overbeck P.A. A man standing on the tracks in the path of a high-speed Brightline train in Florida has been killed, according to the West Palm Beach police department. Reporting the accident, West Palm Beach police Sgt. David Lefont said the man was struck by a southbound Brightline train. Lefont added that the train was travelling southbound toward Fort Lauderdale when it crossed Forest Hill Boulevard and struck the man. The police department said the man knew the train was headed toward him. Eye witnesses at the scene of the accident reportedly pleaded with the man to move away from the oncoming train, but he refused and stayed anyway. The incident caused traffic delays up to approximately a mile long. Investigations are ongoing. This isn’t the first accident where a Brightline train has killed someone. 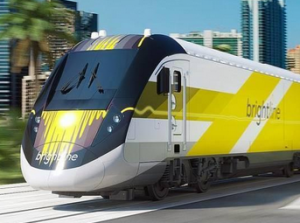 Recently, Boynton Beach Police department reported that a 32-year-old woman identified as Melissa Lavell, was hit by a Brightline train while crossing the tracks. Two other women were struck in Boca Raton and Deerfield Beach respectively. This is the third person the train has struck and killed since it began operations between Fort Lauderdale and West Palm Beach recently. Brightline train officials said the organization has beefed up safety measures and awareness, warning people that the train travels faster than other trains that pass through the area. Attorney Jason Weisser of Schuler, Halvorson, Weisser, Zoeller and Overbeck responded to this accident: “It is a unfortunate that there have been so many accidents with Brightline trains and pedestrians. The trend is continuing with yet another accident. Please always observe all posted signs whether you are driving a car, riding a bike or walking by the tracks. If you were injured in an accident and want to discuss what your rights are, please contact my office for a free consolation”.